Join Camp America Day Camp for our 3rd Annual Summer Soccer Academy in Partnership with PA Rush. PA Rush Soccer Club together with Camp America Day Camp offers a one of a kind soccer experience for children ages 7 to 14 years old. Camp America Day Camp provides the perfect venue for young athletes to train. This summer we are excited to offer THREE sessions! Which session will you choose? June 19th – June 23rd, July 10th – July 14th or July 17th – July 21st. The Summer Soccer Academy will include soccer training in the morning along with camp activities in the afternoon. The athletes participating in the soccer camp will have opportunities to go swimming, drive go-karts, experience zip lining, archery and so much more! 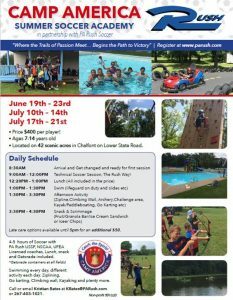 For more information about the PA Rush Soccer Club’s Soccer Academy at Camp America Day Camp please visit www.parush.com or contact Kristian Bates by calling (267)403-1021. If you are already signed up for Camp America Day Camp and would like your child to participate in the Summer Soccer Academy, just let us know and we will help you make the proper arrangements. You can reach us by calling (215) 822-6313 or by sending an email to campamerica@verizon.net. 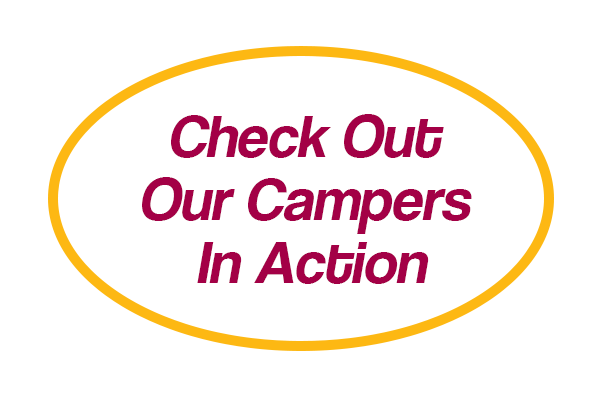 Camp America Day Camp proudly serves Buck County, Montgomery County and Philadelphia County. ‹ Camp America Day Camp voted 2017 “Most Loved” All Around Camp for Doylestown-Horsham Hulafrog!